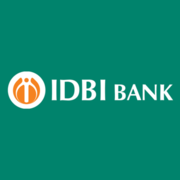 IDBI Bank Recruitment 2019 - Job notification for Head Treasury, CTO & Other Posts in IDBI Bank, Mumbai, Maharashtra on Contract Basis. Applications are invited by IDBI Bank on or before 08 Apr 2019. CA/MBA/PGDM /CFA or other relevant post graduate qualification from a recognized University/ Institution will be preferred. Minimum 20 years’ experience in IT field, preferably with software development background. Eligible candidates may send their application in prescribed format (attached below) to The General Manager, Human Resources Department, IDBI Bank Ltd., IDBI Tower, 21st floor, WTC Complex, Cuffe Parade, Mumbai – 400 005 on or before 08 Apr 2019, along with attested copies of relevant certificate/s.